All three types of exemptions from forced vaccination are under attack by the statists. 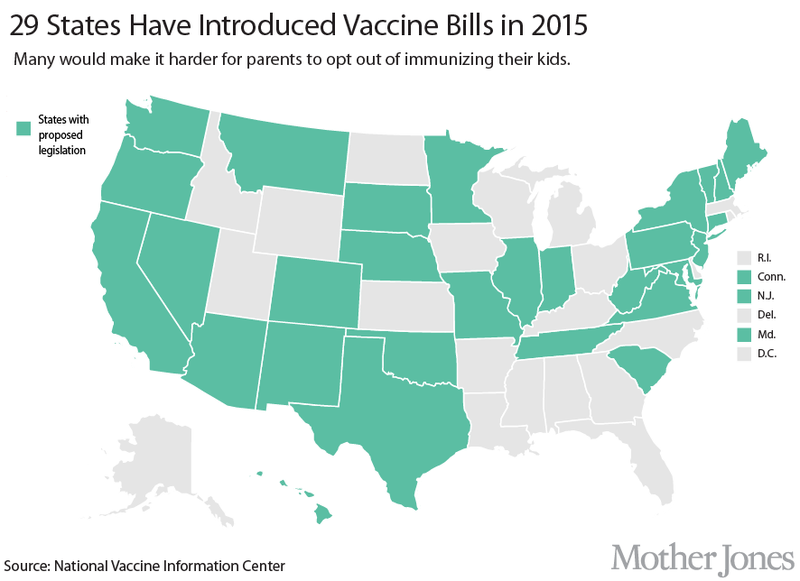 * There are dozens of bills pending in the States to curtail religious and philosophical exemptions to vaccine mandates. "...it seems that a lot of states want to take away our religious exemption to enter the school. My younger son will start Kindergarten this year and he does not have all of his vaccines, as he reacted really badly to them as a baby, so I had to stop. But unfortunately pediatricians were telling me that it was only coincidence and that would have happened anyway. It took me four years to bring his health back and now I do not know what to do. My new pediatrician understands and supports me but she says she can't write medical exemption anymore, as it seems doctors that do that being investigated." It's not that the doctor "cannot" write a medical excuse. It is that the doctor is afraid to do so. This climate of fear is exactly what is being used to steamroll the States into creating a harsh regime of medical tyranny, one vaccine at a time. We've all seen the articles about families having their children kidnapped by state authorities and forcibly vaccinated. There was a recent Ohio case that abolished religious conscientious exemption for children in state custody. That is the political reality we face. As conscientious objectors to (sic) "state action," we know that history shows unless we defend our rights, we will have them taken from us, at gun-point. Physicians, as the leading health care professionals, have a strong moral obligation to "Do No Harm." and to protect their patients. We learn from history. We know that every modern tyranny has had to enlist the health care professionals in its deadly plans (think "medicine" in Nazi Germany, or "psychiatry" in the USSR, or the role of (sic) "psychologists" in the US torture program). So what is the Physician ethically obligated to do when asked by a patient for a Medical Excuse? 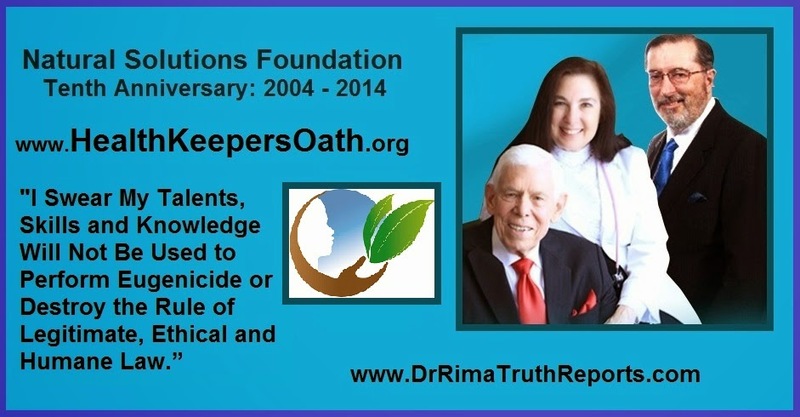 You and I share a sacred, professional responsibility to our patients and, in order to fulfill that responsibility, to the truth. We have no responsibility to the economic well-being of any system, company or industry and confusing the two can harm, maim or even kill. Since 1905 the law has been clear: Jacobson v. Commonwealth of Massachusetts, 197 U.S. 11 (1905) – the Supreme Court reserved for the Federal Courts the right to intervene in vaccine matters where health and life may be at stake: “…if it be apparent or can be shown with reasonable certainty that he is not at the time a fit subject of vaccination or that vaccination, by reason of his then condition, would seriously impair his health or probably cause his death.” In doing so, the Court set forth the standard by which medical exemptions may be issued: reasonable certainty of unfitness for vaccination, or serious risk of impairment of health. Doctors need to remember that they are not agents of official government medicine. They are health care professionals who have a sacred duty to their actual living patients, not to any collective noun nor to some "greater good." Each health care provider must take responsibility as a free individual in defending the private, confidential relationship they each have with each patient. Providing Medical Excuses is an ordinary duty of Physicians. Humane ethics demands no less. Here is the current situation regarding exemptions. * A "statist" is someone who erroneously believes in the objective reality of the legal fiction known as the "State." "Conservative" or "progressive" statists assert that they and their agents have legal and moral authority to force their beliefs on peaceable conscientious objectors to whatever belief the statists happen to be forcing at the moment. They believe in the false reality of (sic) "collective action" and deny the reality of individual human action as the only actuality in human social relations.